Now that M has been ex-utero for a good 4-ish months it is time to kick this crazy baby weight so when I was asked to review this campaign I was super excited. 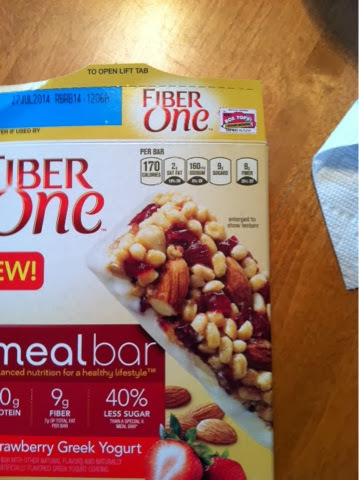 Now these Fiber One bars did not solve all by baby weight problem but they were a super easy grab-it-and-go snack to bring to work in the mornings to drink with my coffee. They are high in protein which is right up my alley because 1. I'm still nursing M and 2. protein helps fight hunger urges, right? Well not exactly sure on #2 so don't quote me on it. Anyhow, I tried the Strawberry and the Chocolate Peanut Butter bars and shockingly the Strawberry bars were the winners in my book. 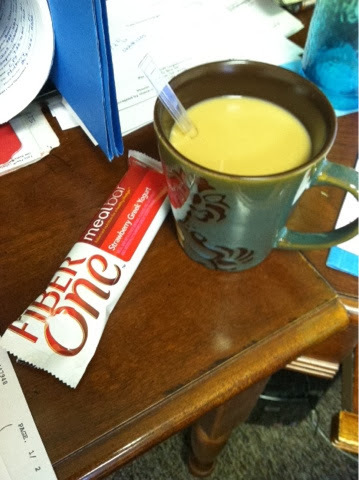 The Chocolate PB bars had this very very very strange taste mid-bite that I could cut with a sip of coffee but I thought the Strawberry had good flavor all-round. As always an added bonus is adding a Box Top to our collection!